Villa Zolitude Resort & Spa is Phuket's most secluded and best-kept secret hideaway, a luxury rainforest retreat with 30 treetop well-appointed private duplex pool villas nestled on the peaceful lush green mountainside offering spectacular panoramic views over the lowlands and picturesque bay of Chalong. Villa Zolitude is situated in the woods on the mountainside in Chalong Bay overlooking the east coast of Phuket, 55 minutes away from Phuket International Airport and a short distance to Phuket's famous landmarks; Wat Chalong Temple, the Big Buddha, the perfect sunset-watching viewpoint Promthep Cape, Nai Harn, Kata, Karon and Patong Beaches and Phuket historic Sino-Portuguese Old Town. Ao Chalong Villa and Spa Hotel is a 4-star luxury property situated on a pure beach of Chalong bay in Phuket region of Thailand. This lavish property warmly greets its visitors and offers them modern amenities. Visitors will surely enjoy their stay with full coziness in the serene atmosphere of this property. Enjoying all the comforts while in close proximity to natural surroundings, allow visitors to spend a jubilant journey. 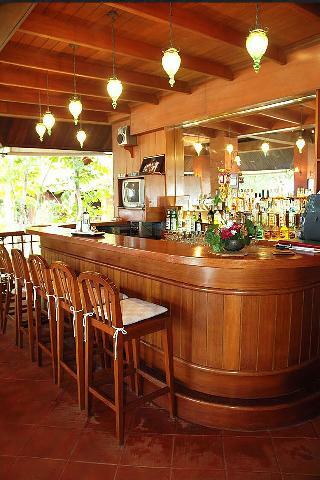 This property is suitable from both perspectives, business as well as leisure. From the town of Phuket, this property can be swiftly accessed by covering a distance of merely 10 minutes. Here, visitors will find themselves playing in the lap of nature that will add more charm to their journey, making it an unforgettable experience forever. 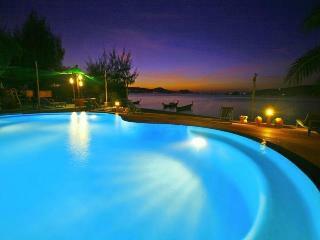 This charming beachfront boutique resort is located at the south end of Phuket, in the Kingdom of Thailand. 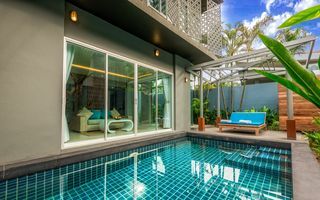 The nearest beach is a 2-minute drive away, Rawai Beach is around 20 minutes away by car, the market is half an hour away, and Phuket Town is roughly an hour's drive away. 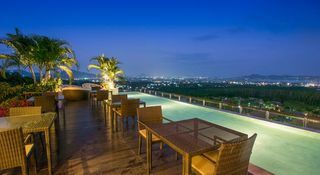 Phuket International airport is approximately 40 km from the resort.Renovated in 2010, this resort is a haven of peace and tranquillity featuring 11 deluxe accommodation units and personalised service in a very exotic and private atmosphere. Facilities include a lobby with a hotel safe for valuables, a restaurant, Internet access, and both room and laundry services (both for a fee).The Beachfront Bungalows are set behind a line of trees, just metres away from the beach and set well apart from each other to offer maximum privacy. The 4 Garden Bungalows are set in the tropical garden, metres away from the swimming pool and slightly larger than the Beachfront units. Each accommodation unit features an en suite bathroom with a shower and hairdryer, a double bed, minibar, individually regulated air conditioning and either a private balcony or terrace.There is an outdoor swimming pool and a nearby sandy beach.Both lunch and dinner are served à la carte.If coming from Phuket to the hotel, the transfer is recommended to be arranged by a traditional long-tail boats and the ride takes about 15-20 minutes. Free and private crossings are offered to the hotel's clientele. 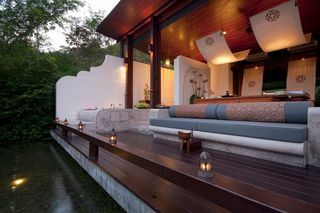 "Villa Sonata, the Luxury 5-star private pool villa resort is the new ""Hidden Jewel"" of Phuket. The spacious and peaceful 21 private pool villas are in the heart of Chalong district which is closed to lots of attractions and beach. After exploring Phuket, guests will have pleasant stay at our peaceful villas with natural green gardens and excellent facilities. The resort is under the management of Blue Marine Group with more than 15 years experience in hospitality business.Sonata Duplex and Sonata Suite are designed in Romantic, Modern style with weave and crafts, together with full amenities, including private swimming pool and green garden."